For most new business owners and entrepreneurs, finding a way to get their sales up to profitable levels is one of their top concerns and something that they will go to great lengths to achieve. There are a variety of different ways that you can grow your business and many of them can be done from your commercial offices for rent. One of the best ways to stay connected to existing and prospective customers is by using Twitter. The following are a few of the top reasons to use Twitter for your office space. One of the biggest reasons that you need to be using Twitter for your small business is that it is free and highly effective. Twitter has millions of followers and by keeping up with the trend, you will be able to attract a few of these millions of users. The last thing that you want to do is use outdated methods of advertising that are both costly and not nearly as effective as Twitter. The sooner you start to use this modern tool for your business, the better off you will be in regards to building your customer base. Another benefit that comes along with using Twitter for your business is that it is very easy to use and only takes a few minutes to Tweet. This is great for a business owner who is strapped for time because they can have a big effect on their customers without having to put a lot of time and effort in to it. Make sure that you are consistent with both your message and the frequency at which you post. You want to ensure that the content on your page stays fresh and that you are giving your customer base something that they can benefit from and use. Getting the right office space is easy when using the team at ComCenter Workspace Services. 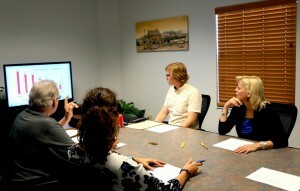 Looking for a meeting room in El Dorado Hills, CA?